II. Explanation of Some Facts reputed to be Supernatural Spiritual or Psychic Sight - Second Sight – Somnambulism - Dreams. Spiritual or Psychic Sight - Second Sight – Somnambulism - Dreams. 21. Some time later, Jesus went up to Jerusalem for a feast of the Jews. Now there is in Jerusalem near the Sheep Gate a pool, which in Aramaic is called Bethesda and which is surrounded by five covered colonnades. Here a great number of disabled people used to lie, the blind, the lame, the paralyzed. One who was there had been an invalid for thirty-eight years. When Jesus saw him lying there and learned that he had been in this condition for a long time, he asked him, “Do you want to get well?” “Sir,” the invalid replied, “I have no one to help me into the pool when the water is stirred. While I am trying to get in, someone else goes down ahead of me.” Then Jesus said to him, “Get up! Pick up your mat and walk.” At once the man was cured; he picked up his mat and walked. The day on which this took place was a Sabbath, and so the Jews said to the man who had been healed, “It is the Sabbath; the law forbids you to carry your mat.” But he replied, “The man who made me well said to me, ‘Pick up your mat and walk.’ “So they asked him, “Who is this fellow who told you to pick it up and walk?” The man who was healed had no idea who it was, for Jesus had slipped away into the crowd that was there. Later Jesus found him at the temple and said to him, “See, you are well again. Stop sinning or something worse may happen to you.” The man went away and told the Jews that it was Jesus who had made him well. So, because Jesus was doing these things on the Sabbath, the Jews persecuted him. Jesus said to them, “My Father is always at his work to this very day, and I, too, am working.” (John, 5: 1 to 17). 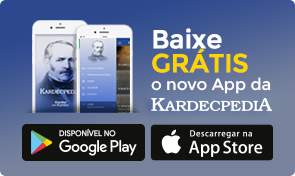 KARDECPEDIA is an interactive platform that facilitates the study of the works of Allan Kardec, the founder of the Spiritist Doctrine, or Spiritism. KARDECPEDIA belongs to the IDEAK - Spiritist Divulgation Institute Allan Kardec. IDEAK is a non-profit Spiritist Association created with the aim of spreading to the world Spiritism, according to the thinking and works of Allan Kardec.